Old Molasses Ale: history, science & beer! 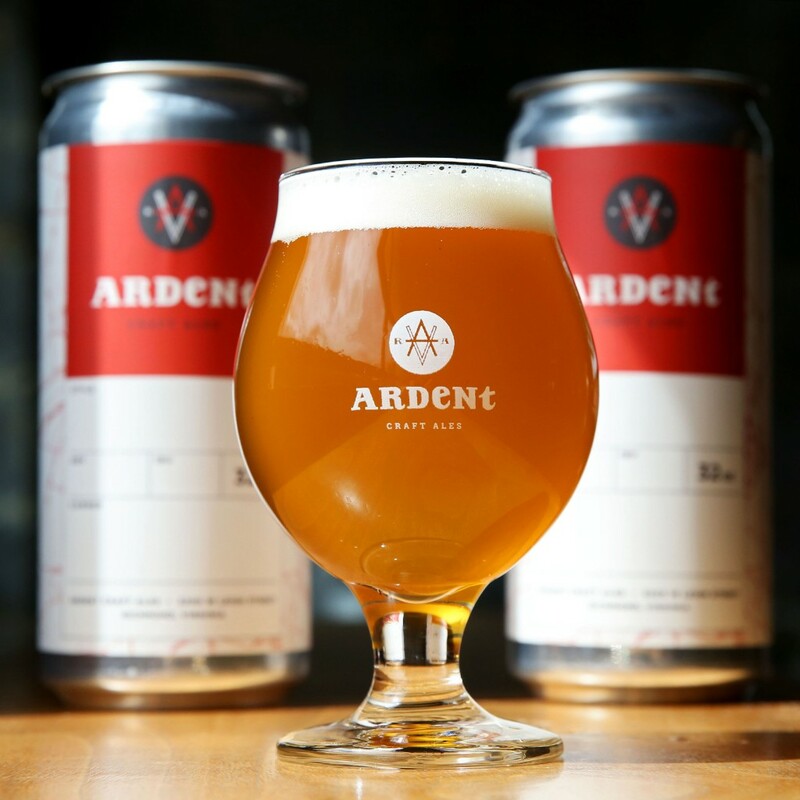 Ardent Craft Ales and the John Marshall House, a Preservation Virginia historic site, are teaming up for a weekend of history, science, and beer! We brewed a special historical beer to celebrate John Marshallâ€™s birthday. Plus, weâ€™re excited for the opportunity to extract yeast from a bottle of Madeira thatâ€™s remained preserved in the John Marshall House cellar for hundreds of years, and hopefully use it to brew a modern day beer using the same historical strain! First, join us in the taproom at 4 p.m. on Friday, September 21, when weâ€™ll introduce our latest pilot brew: Old Molasses Ale. This beer was based on a recipe from John Marshallâ€™s cousin, Mary Randolph, that she brewed in the late 1700s and featured a late addition of molasses in the boil. Representatives from the John Marshall House will also be on hand. On Saturday, September 22, Ardent heads downtown for a day of history, science, and beer! 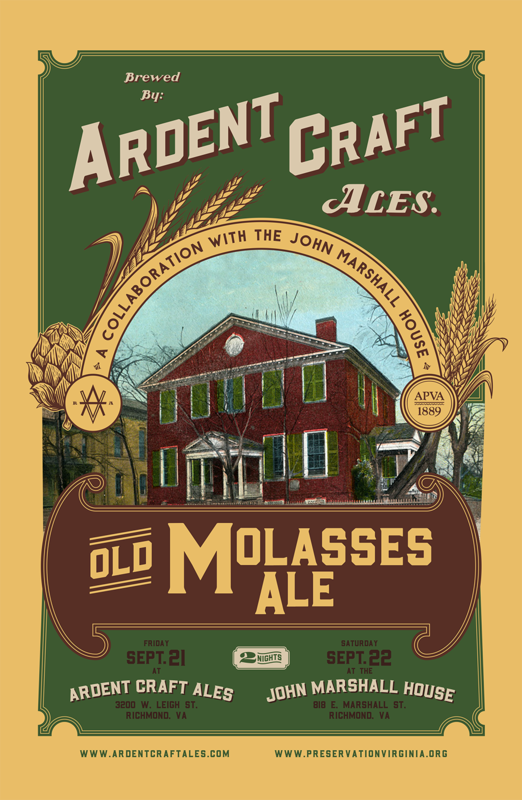 Weâ€™ll be serving Old Molasses Ale at the John Marshall House, which is opening up its doors for free admission to mark Time Travelers Weekend. In addition to touring the house and learning about John Marshall, keep an eye out for scientists demonstrating how we hope to capture yeast from bottles of Madeira that have been preserved in the cellar. John Marshall, a Richmond native, was the longest-serving Chief Justice of the Supreme Court and is largely responsible for establishing the modern influence of the court. 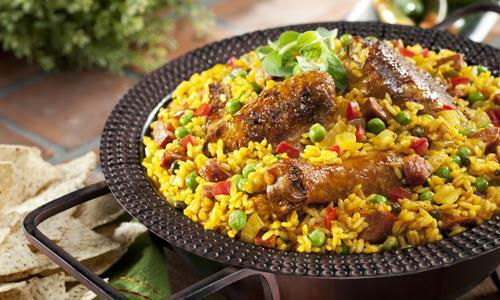 He was also quite fond of Madeira, a Portuguese wine that he shared enthusiastically with friends at his Richmond home. 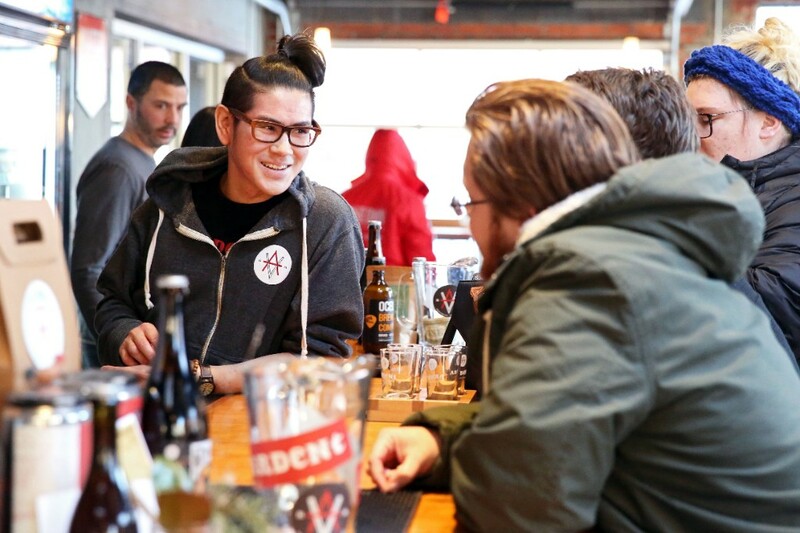 Are you passionate about craft beer? Come join us at Ardent Craft Ales! 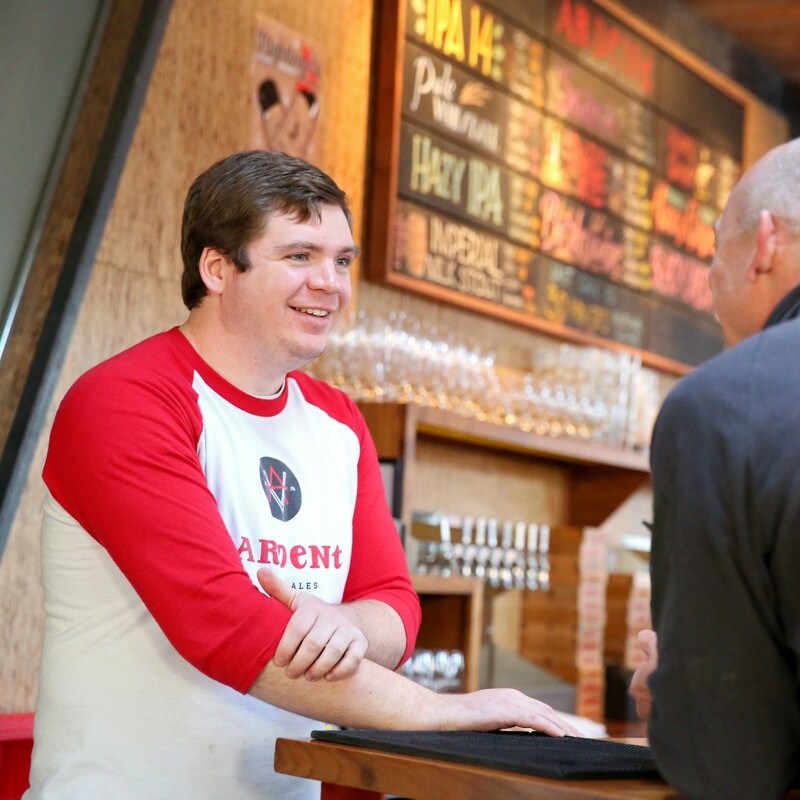 Weâ€™re looking to hire a taproom server whoâ€™s as dedicated as we are to providing great customer service. This position is full-time with benefits and will include Sunday shifts. 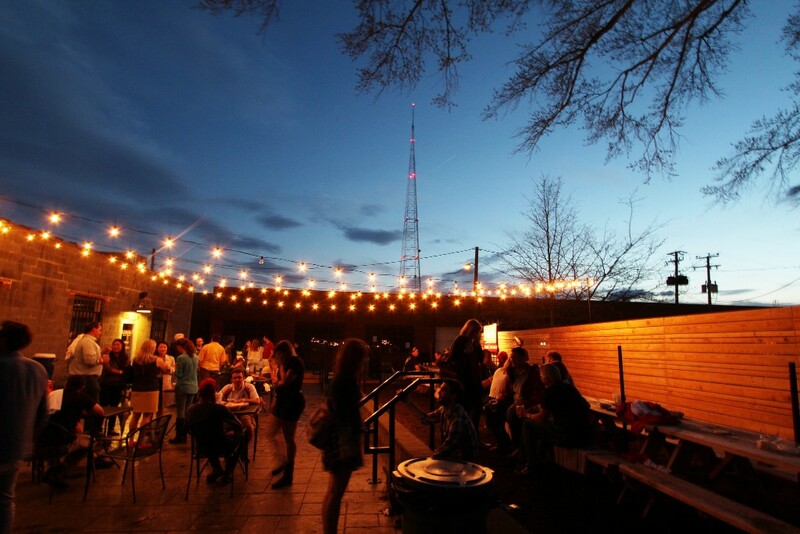 Previous serving/bartending experience is a requirement, brewery experience preferred. Email jobs@ardentcraftales.com with your resume to be considered. Deadline to apply is Friday, September 21. Have you tried our freshest batch of Sweet Potato & Sage Saison? Let us know what you thought! 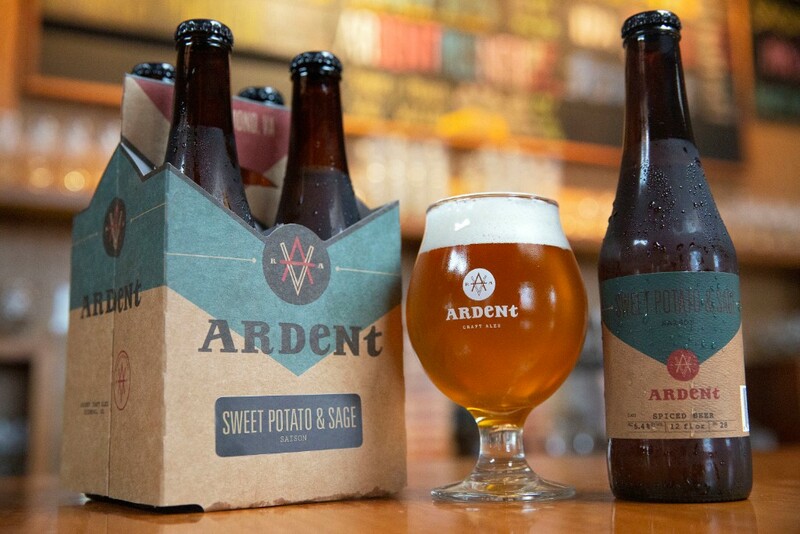 ardentcraftalesÂ Sweet Potato & Sage Saison is back in bottles! 4-packs of 12 oz. bottles are available in the taproom now, and hitting shelves around RVA this week.